When it comes to the decorating of apparel, embroidery can be considered the alpha when stacked up against its counterparts -screen print and digital print. A fully formed practice for a long time, embroidery is used to decorate polos, caps, bags, luggage, and much more. 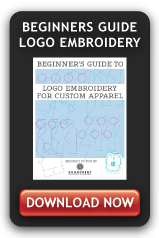 When talking custom embroidery for decorated apparel, its important to understand the options available to you, as well as the process involved. 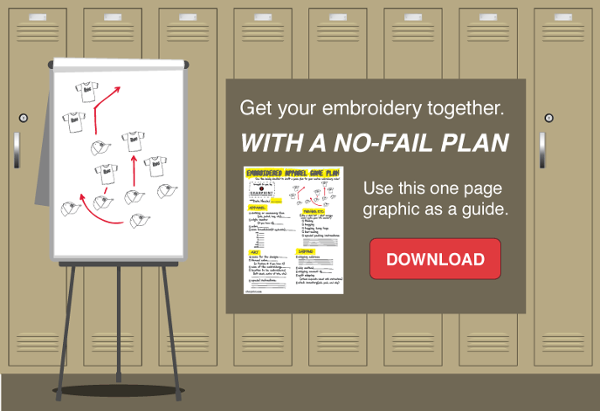 Before jumping into the fun stuff like embroidery designs, it’s important to think about the many factors that go into selecting the right embroidery for the right clothing. Whether superior quality lettering or gradient embroidery, one must take note of all elements when planning a custom embroidered apparel project. These include fabric, purpose of clothing (uniform, casual, etc. ), stitch type and thread type. Considering the type of fabric should be the first step when working with embroidered apparel. Whether 100% cotton, 100% polyester, polyester-cotton mix, eco-friendly material or polo knit, the fabric will most likely affect the way your embroidery is applied and appears on the garment. Next, you’ll want to consider the purpose of the clothing or occasion. 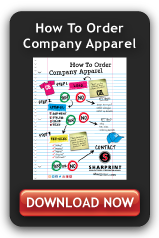 Will the custom embroidery be for your business employees? Sports team? 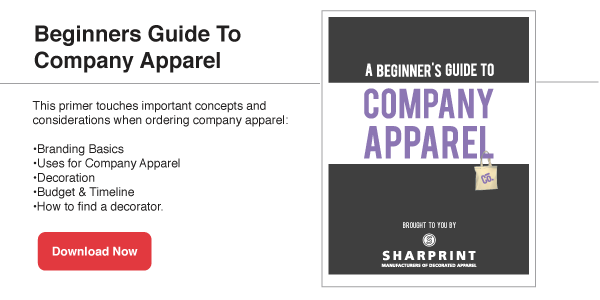 Whatever it is, logos and designs play an important role in making your apparel unique. When considering the stitch, remember that stitches affect the way embroidery looks on apparel. Each stitch is created to give a distinct look. The most common embroidery stitch type, which is used for the majority of lettering and design outlines – is satin stitch. Walking stitch is a stitch used mostly for small details in embroidery designs, and fill stitch is a technique used to fill large areas of color. There are two main types of thread used when it comes to embroidery designs – rayon and polyester. Depending on the fabric and design, one of these two thread types will be used to sew out your embroidery masterpiece. Rayon is a shiny and smooth type of thread that is best for delicate clothing, and is most commonly used for corporate apparel, golf polos, and retail directed garments. Polyester isn’t as shiny as rayon. Polyester has durability and resilience that allows it to withstand bleach, detergent and hot water. 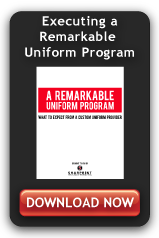 This type of thread is often selected for industrial occupations and sports team uniforms. Now that we’ve gone over the elements involved in custom embroidery, lets talk process. In order to create a beautifully embroidered garment, there are a number of very detail driven steps involved. Review Art Submission: Very tedious but necessary, our team looks for the finest details, gradients and small lettering that may have a difficult time translating. Digitizing: With the use of specialized software for virtual drawing, we translate digital art files into stitches. A process that maps the stitches for the final design. Sew Out: Minimizing room for error, our team creates an actual stitched out sample to assure that the work is sound, and if necessary, making any tweaks or adjustments before sending to you for approval. Hooping & Clamping: In order to stabilize the garment, we apply a device to load the garment uniformly and securely. Run The Lines: We produce your order using multiple heads simultaneously. Sometimes up to 15 at a time. Trimming: Once sewn, we remove the excess backing from the garment embroidered design. Steaming: Making sure to eliminate possible excess rings from the hoop, we steam your garments in order to return them to their pre-embroidered appearance. Folding & Bagging: In order to protect the garment from potential damage from shipping, we make sure to carefully fold and bag each embroidered item.